Bruce brings a wealth of experience to Arcadian Ecology including 15 years as the owner/manager of a broadacre farming and grazing enterprise in the Maranoa region of Queensland, three years vegetation consultant/project manager for an Australian not-for-profit environmental organisation and seven years as an environmental consultant working on a number of large resource industry infrastructure projects across Queensland. Bruce has a high level of botanical skill and expertise in survey design, field data collection and report writing. He is skilled at BioCondition assessment and has significant experience in the environmental offsets industry providing advice, offset proposals, field verification of offset potentials, landholder negotiation as well as ongoing monitoring of offset management plans. 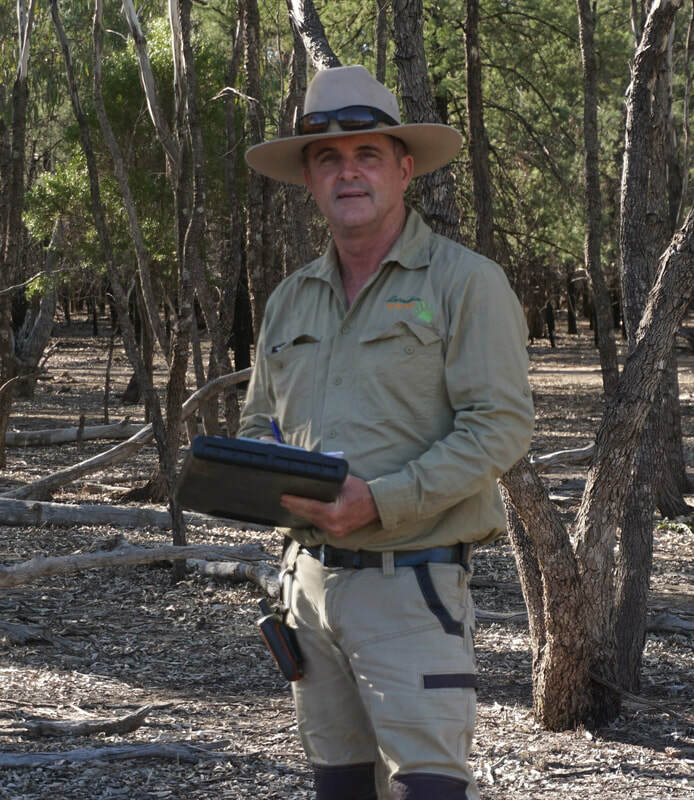 ​Bruce is an accredited assessor under the NSW Biodiversity Assessment Method. ​​Bruce is a member of EIANZ. Arcadian Ecology works closely with a number of independent ecologists and consultancies with specialisation in complementary environmental fields. While Arcadian Ecology is a small consultancy it has the capacity to tender for larger projects by drawing on the talents of colleagues in a number of fields including aquatic ecology and water quality, fauna ecology, soil sciences and GIS services.